Allergy to penicillin is a situation so common that 1 in every 10 patients reports being allergic to this class of antibiotics. Penicillin was the first antibiotic to be used in large scale worldwide. Nowadays, we talk about penicillin no longer referring to that antibiotic discovered in the early twentieth century, but the large group of antibiotics developed from that first drug. 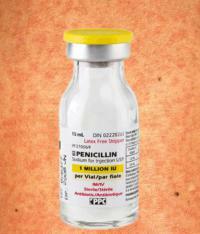 Despite being from the same family, different penicillins are active against different bacteria and infections. 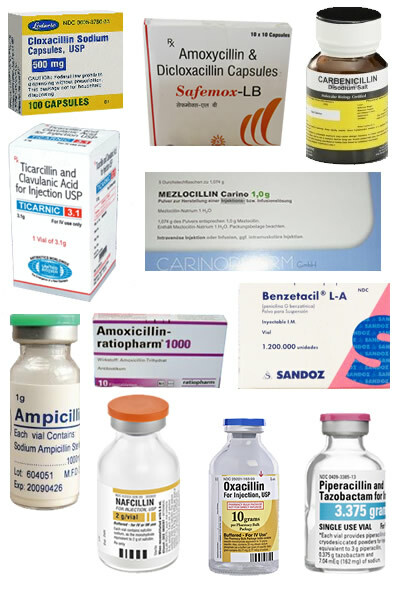 For example, amoxicillin is often used for simple respiratory infections, while piperacillin is usually indicated for several types of hospital infection. 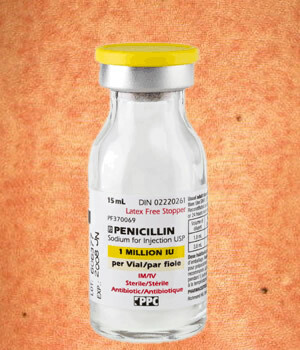 Penicillins closer to the antibiotic originally discovered by Alexander Fleming are penicillin G, penicillin V, benzathine penicillin (Benzetacil). Due to the large degree of bacterial resistance, these antibiotics are used rarely today, being restricted to the treatment of syphilis and some throat infections (pharyngitis or tonsillitis). We say that the patient is allergic to penicillin only when they develop an allergic reaction, or a reaction from the immune system after receiving an antibiotic of the family of penicillin. This concept seems obvious, but it is not. Penicillin, like any other drug, can cause side effects that have nothing to do with immune reactions and are not therefore allergic reactions. Actually, no allergic reactions, such as burning stomach, discomfort, nausea, diarrhea, dizziness, stomach ache, etc. are much more frequent than allergic reactions themselves. The problem is that many patients interpret these reactions as a sign of allergy and are now being labeled as "allergic to penicillin". Many of these people come to their already warn doctors and soon they are allergic. Not always the provider loses the necessary time to evaluate the patient having reaction to penicillin actually fits into a framework of allergy. Thus, the misinformation created by a lay person, mistakenly ends up being ratified by the doctor, becoming a truth described in the medical records and medical certificates. The fact is that statistically 1 in 10 patients is allergic to penicillins. However, when we properly study their immune systems, we found that up to 90% of these people are NOT actually allergic to penicillin, and there is no contraindication to the use of this class of antibiotics. Besides the misdiagnosis of allergies, there is another important factor that contributes to this false statistic: a penicillin allergy may disappear with time. About 80% of patients who had a picture of allergy to an antibiotic of the penicillin family can no longer be allergic if they do not have contact with this for 10 or more years. So if you had a picture of a penicillin allergy in infancy and was never exposed to this class of antibiotics, it is quite possible that you are no longer allergic and can return to using penicillin without any danger. 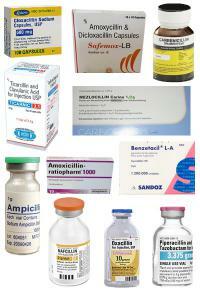 We know, then, that not all adverse reactions caused by the use of penicillin can be considered an allergic reaction. Allergies, also called hypersensitivity reactions are immunologically mediated reactions, which occur in an exaggerated and inappropriate response of the immune system to certain structures present in medicines. Urticaria - characterized by red plaques with raised skin, itchy too. 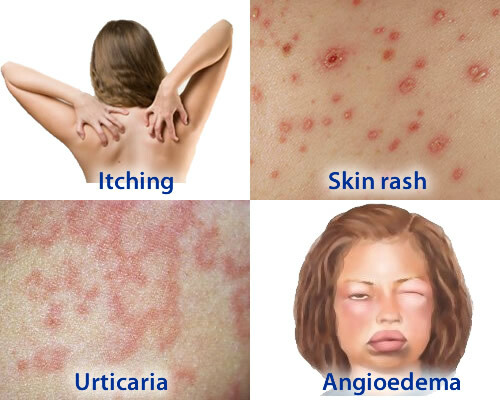 Skin rash - characterized by red spots on the body, without relief and without itching. Itching - characterized by intense itching, without necessarily having visible lesions on the skin. Angioedema - swelling of the mucous membranes such as lips, eyes, mouth and tongue. In severe cases there may be anaphylactic shock, characterized by a drop in blood pressure, difficulty breathing caused by severe spasm of the airways (bronchospasm) and laryngeal edema. This condition is a medical emergency and can cause patients to death if not treated quickly. When a patient develops symptoms suggestive of penicillin allergy it is important to try to determine the time interval between the drug and the onset of allergy symptoms. We call those immediate hypersensitivity reactions allergic reactions that occur within the first hour after contact with penicillin. Already delayed hypersensitivity reactions occur several hours or even days after exposure to the drug. Usually, the patient has already made use of the antibiotic for several days before they have any reaction. This distinction is important because immediate reactions are caused by an antibody called IgE, the most dangerous because of the risk of causing anaphylactic reactions. Patients with a history of immediate hypersensitivity reactions should not be rechallenged with penicillin treatments. The delayed reactions are usually benign and do not usually cause severe allergic reactions. In most cases physicians accept information provided by the patient as true. Due to fear of lawsuits, most physicians choose not to prescribe antibiotics of the penicillin family if the patient is labeled as allergic, even if symptoms are not properly described. In cases of syphilis, penicillin is still the most effective antibiotic and its use should be indicated whenever possible. Patients with throat infection or recurrent sinusitis just needing stronger antibiotics if they can not take penicillin. One patient with history of allergy has occurred for many years can no longer be allergenic, it is not necessary to treat infections without penicillins. The most widely used test for the diagnosis of penicillin allergy is skin testing. This test consists of applying a minimal amount of penicillin in the subcutaneous tissue. If the patient is allergic a small allergic reaction will appear at the application site after about 15 to 20 minutes. The tests on skin should be administered only by physicians imunoallergists, preferably in a hospital environment. This test is contraindicated in patients who have had severe allergic reaction to penicillin, such as toxic epidermal necrolysis and Stevens-Johnson syndrome. If the test is negative, i.e. if there is no reaction to the injection, the patient has no allergy to penicillin, may again make use of this antibiotic safely. Only 1% of patients with negative test show signs of severe allergy when re-taking penicillin. In general, to be sure, ask the patient to take one tablet of penicillin and wait in the hospital for about 2 hours to rule out any more serious allergic reaction. When the patient is found to be allergic to one of the penicillins, it must be considered to be allergic to all others too. The patient is not only allergic to amoxicillin or Benzetacil they are allergic to penicillins in general. Cephalosporins are a class of antibiotics which have some structural similarities with penicillins. Penicillins and cephalosporins are didactically grouped into a large group of antibiotics called the beta-lactam antibiotics. Initially, all patients allergic to penicillin should also be seen as allergic to cephalosporins. In fact, only about 10% have allergies to these two classes, but without the skin tests it is impossible to know who is allergic to penicillin and only those who are allergic to both classes of antibiotics. Patients allergic to penicillin should no longer be treated with this class of antibiotic. Despite this inability to use very common antibiotics, such as amoxicillin, oxacillin and piperacillin, in most infections it is possible to arrange alternative antibiotic regimen effective. However, if the doctor thinks that the treatment with a derivative of the penicillin is essential for curing a particular infection, it can resort to a process called desensitization to penicillin. This procedure consists of the administration within a hospital environment, increasing doses of penicillin every 15 minutes in order to "get used" the body to the drug, temporarily preventing that there is any allergic reaction. The first administration is usually done with 0.01% of normal dose. 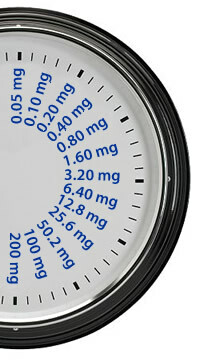 After successive 15 minute intervals, twice of the previous dose is administered until it reaches the desired full dose for treating an infection. Importantly, this procedure has temporary effect. If the patient does not take the antibiotic for 24 to 48 hours, there appears the desensitization effect and the patient loses around the non-power-based antibiotics penicillin.